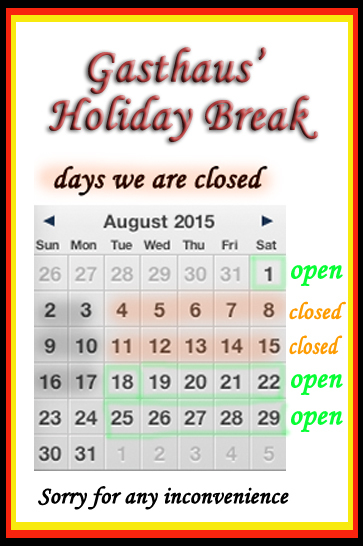 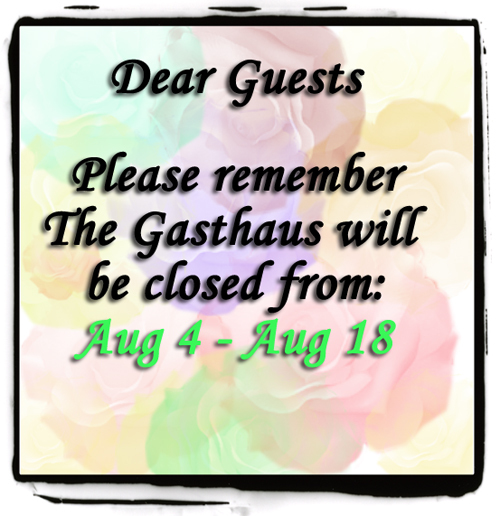 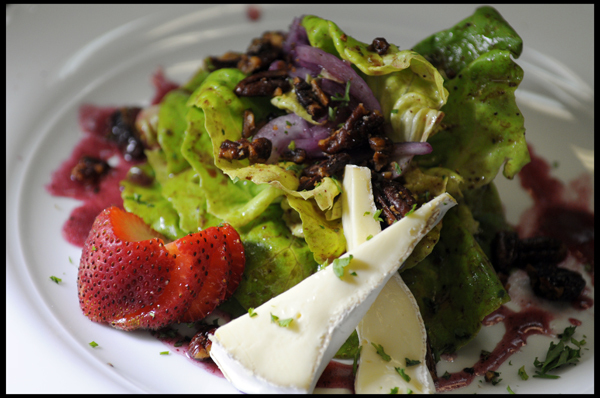 2015 July « GASTHAUS: got 'kraut? 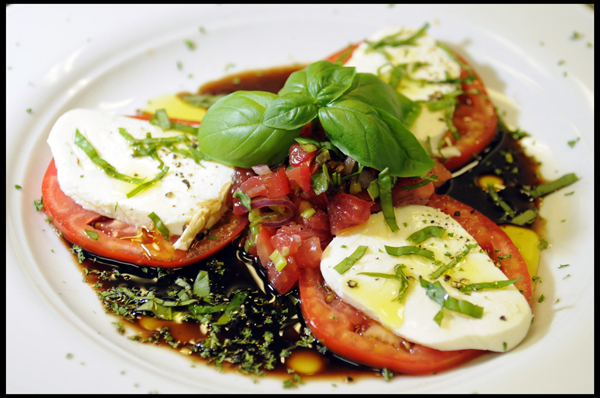 Home-Grown Tomatoes with Fresh Mozzarella and Basil, drizzled with a Balsamic Vinaigrette. 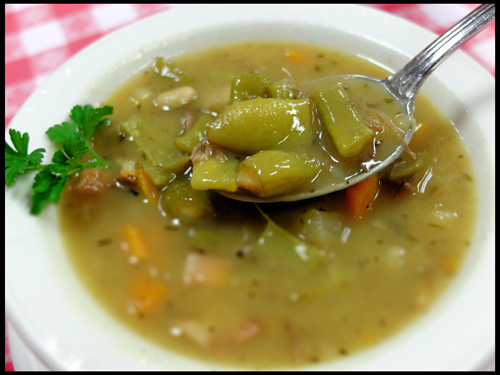 Fresh green beans from Patsy’s garden. 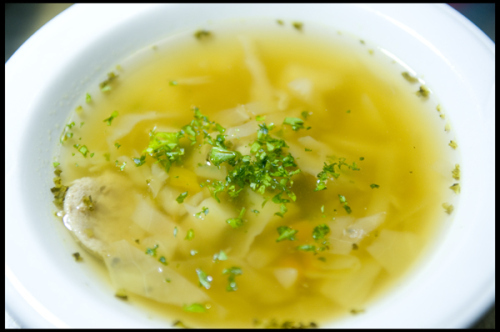 Potatoes, carrots and tender bits of beef in a savory broth. 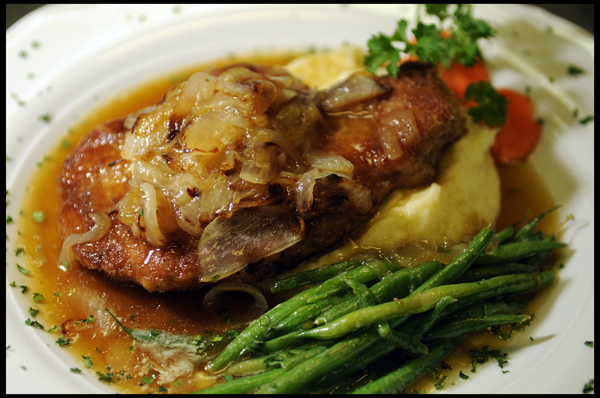 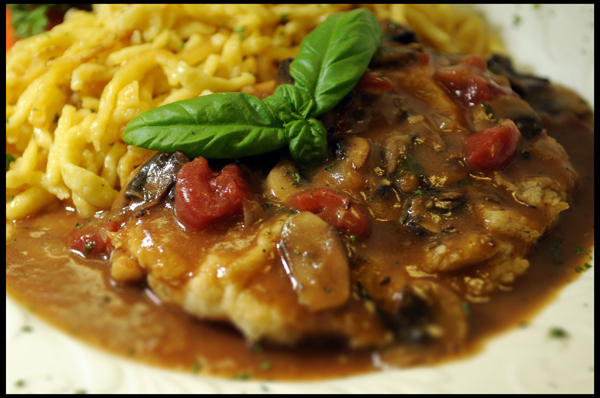 Tender chicken breast with tomatoes, mushrooms, and fresh basil, a light tomato garlic sauce served with Spätzle. 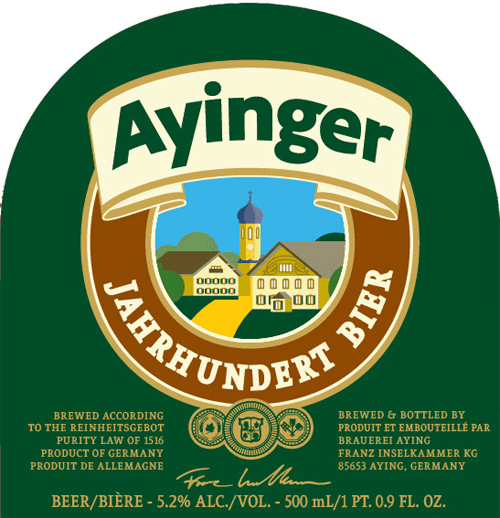 Ayinger Jahrhundert Bier available now! 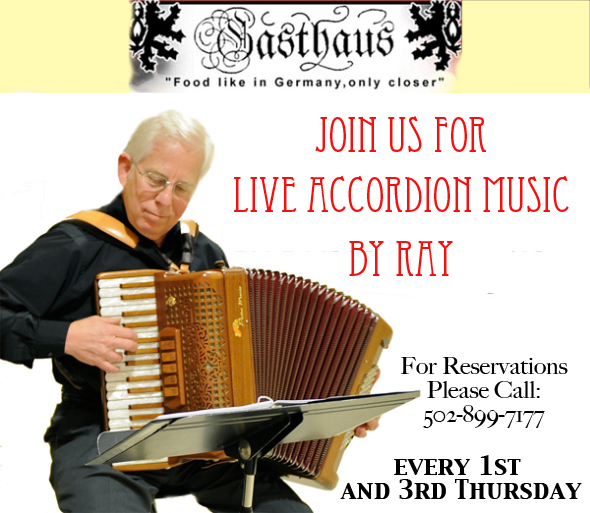 Limited time only!! 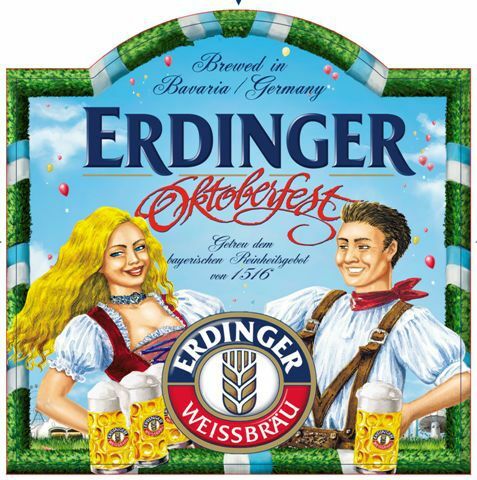 It is an especially drinkable and harmonious beer.